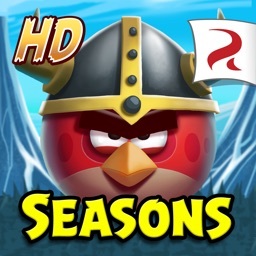 FREE FULL GAME – DOWNLOAD NOW! What happens when everyone's favorite fierce fowl get caged and shipped to Rio? They get very angry! 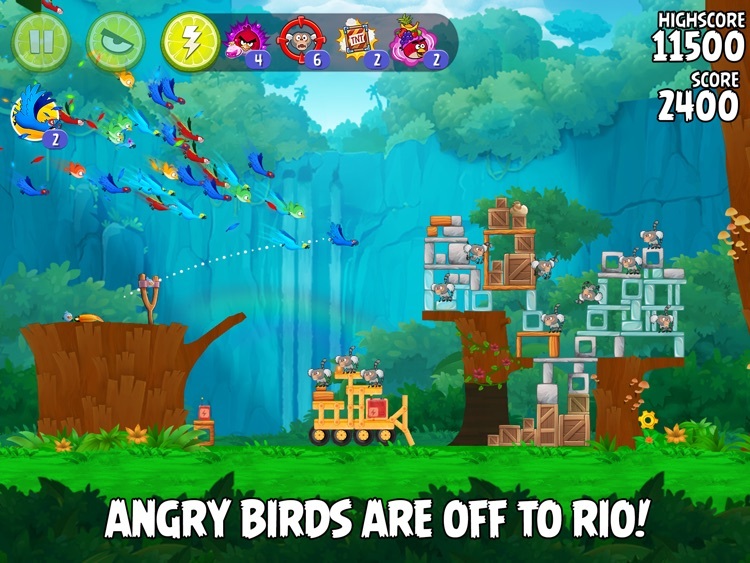 The original Angry Birds have been kidnapped and taken to the magical city of Rio de Janeiro! They’ve managed to escape, but now they must save their friends Blu and Jewel – two rare macaws and the stars of the hit movies, Rio and Rio 2. 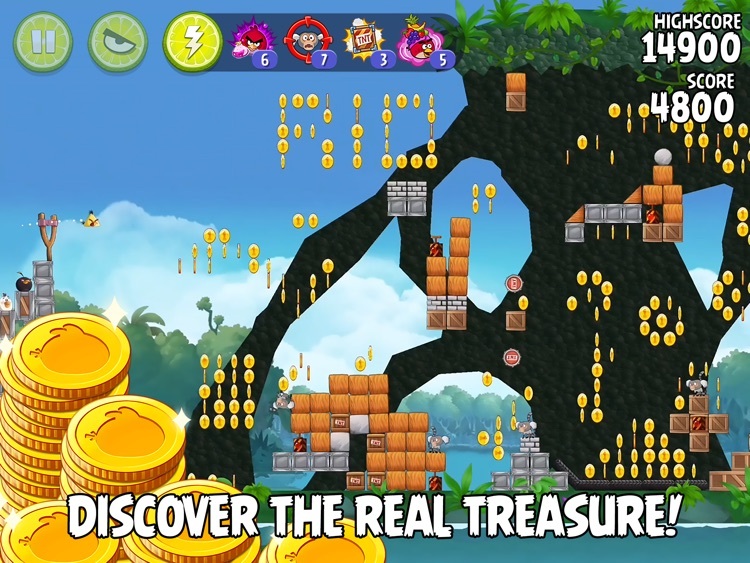 The Mighty Eagle is a one-time in-app purchase that you can use forever. 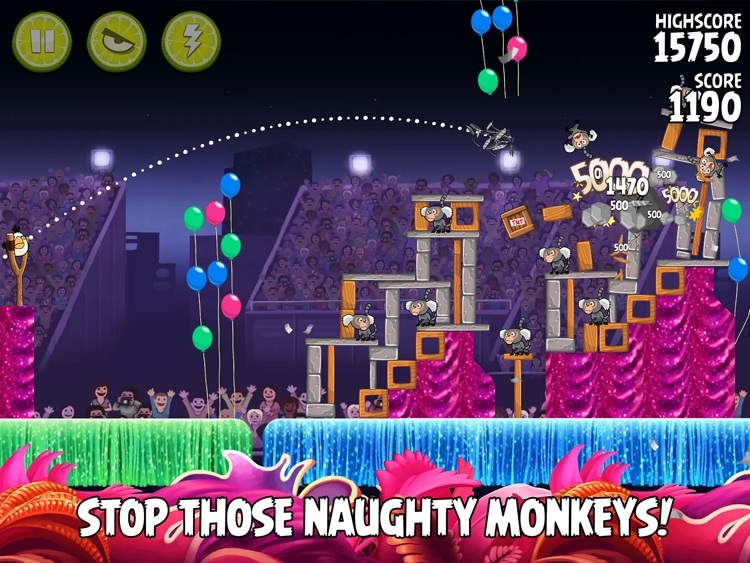 If you get stuck on a level, this cool creature will dive from the skies to smash those meddling monkeys into oblivion. There’s just one catch: you can only use the Mighty Eagle once per hour! 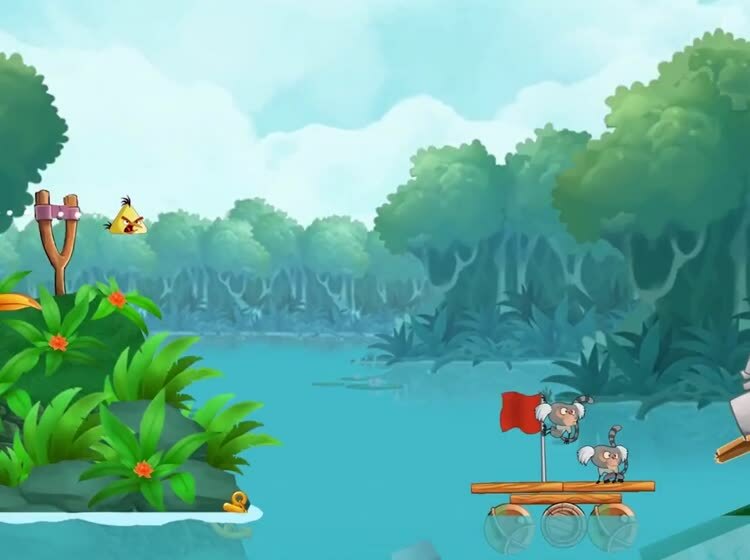 Mighty Eagle also includes all new gameplay goals and achievements. 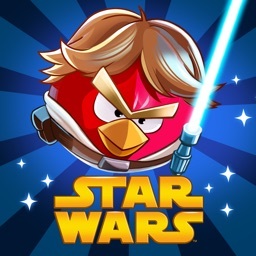 Boosting your birds’ abilities helps you complete levels with three stars so you can unlock extra content! 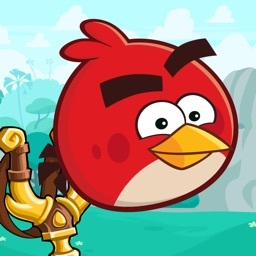 Power-ups include the Sling Scope for laser targeting, Power Potion to supersize your birds, Samba Burst for dancing destruction, TNT for a little explosive help and Call the Flock for a blizzard of Macaw mayhem! 400 FUN LEVELS! 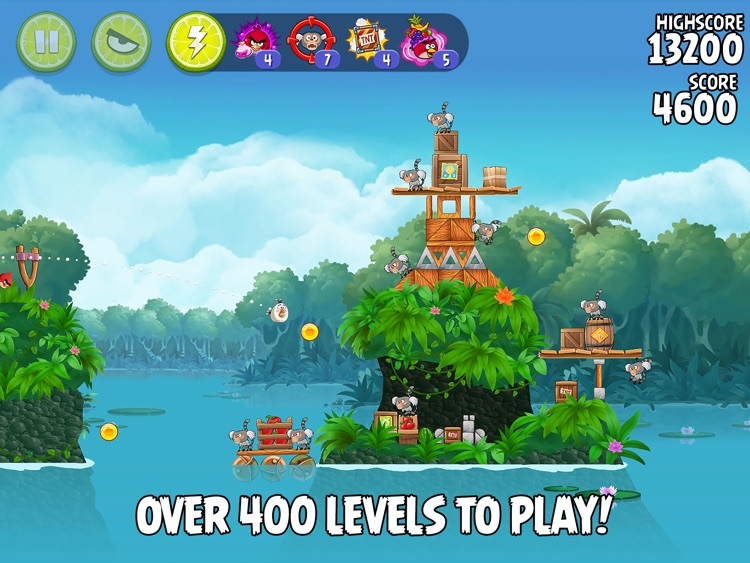 Plus 72 action-packed bonus levels across 12 episodes! SPECTACULAR BOSS FIGHTS! 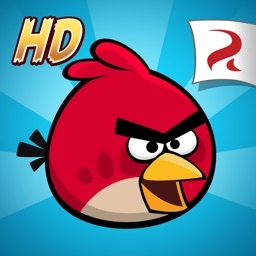 Put your bird flinging skills to the ultimate test! CALL THE FLOCK! 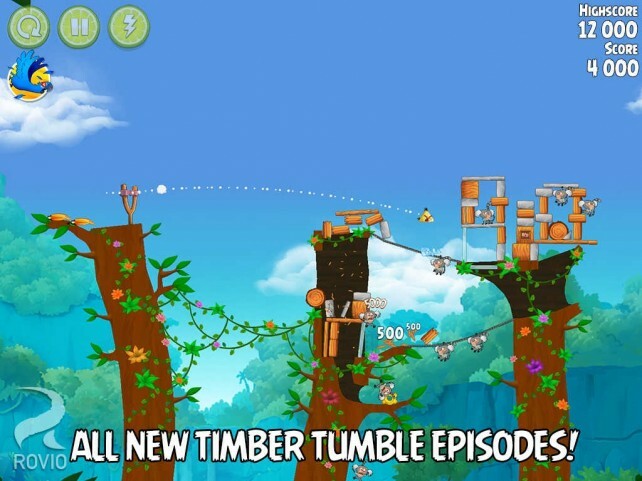 Get some demolition help from your Macaw buddies! POWER POTION! Juice up your bird! Power Potion transforms any bird into a devastating giant! UNLOCK BONUS LEVELS! 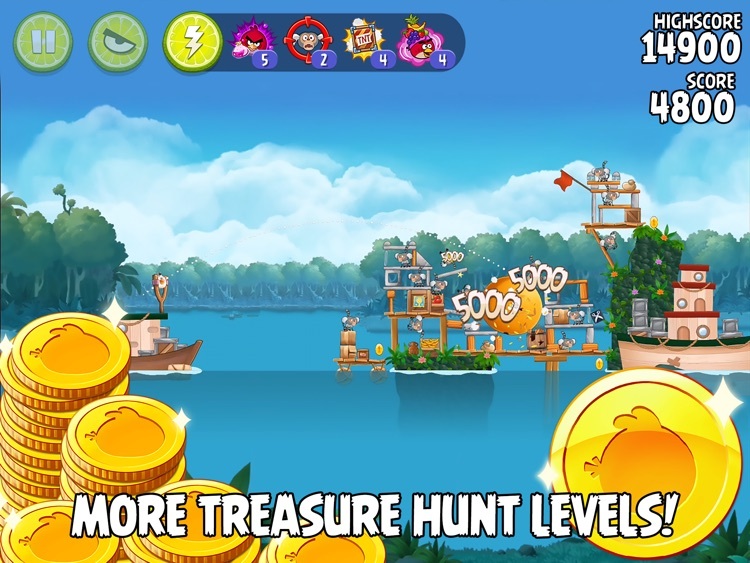 Find objects hidden throughout the game to unlock even more levels! 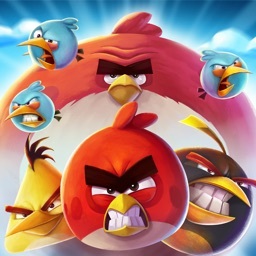 Become a fan of Angry Birds on Facebook! 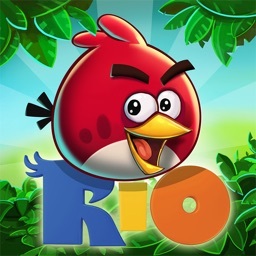 Rovio has just let loose a new content update to Angry Birds Rio. 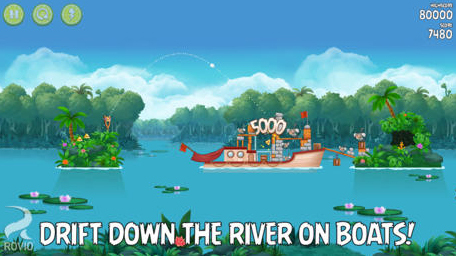 Gamers can take advantage of 26 new levels set along the Blossom River.